…Okay, I’m sorry. I’ll close the tab of food idioms I had open. But suffice to say, Battle Chef Brigade is pretty great. Here are the basics of Battle Chef Brigade: you and an AI opponent each have a kitchen to work with, as well as combat environment full of monsters and plants to collect. You have to please a panel of judges, each of them wanting you to make a dish with a unique combination of elements. You get ingredients matching these elements, matching three of the same element to upgrade their flavors to their highest level. In addition to making sure these judges are happy, you have to include a specific ingredient in every dish. These ingredients range from the simple (some berries or birds) to the more difficult (meats from a Hydra or dragon, for example). It’s a game that’s easier to show than tell about, so here’s a video of a match from start to finish. (Sorry for skipping some dialogue). This is a game I’ve been excited about for months, ever since I saw it at the Indie Megashow in Atlanta. 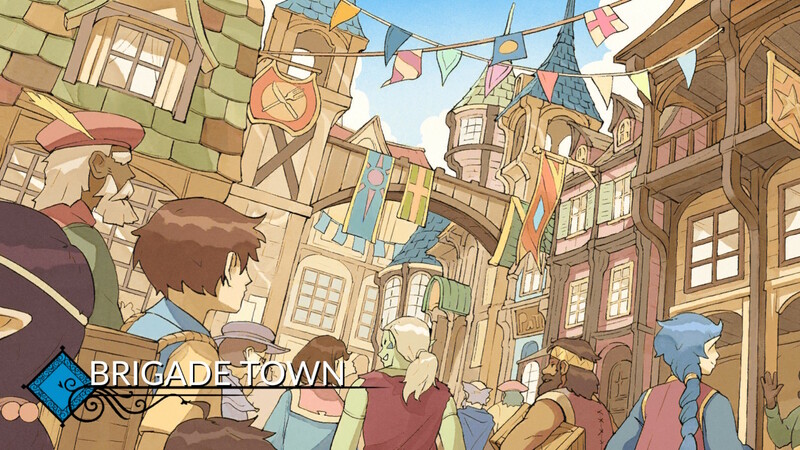 There were a ton of great games there, but I kept finding myself coming back to Battle Chef Brigade. I tried my best not to hog the kiosk, and found myself dragging other people to the machine as I met them to show them. It was the best game of the show for me, so I was extremely excited Adult Swim Games provided us with a copy of this game for review. I’m happy to say that the game lives up to the short Kickstarter demo I played that day. These two genres seem so different from each other, but the combat and puzzles go together like strawberries and bacon. Have you tried a bacon, strawberry, and lettuce sandwich? Those flavors seem like such a clash, but when you bring them together they’re delicious. You might find yourself put off by the combat, watching some of the clips I have here. And admittedly, it is a little repetitive. I think that ultimately works in the game’s favor, because while I’m fighting I’m thinking mostly about the dish that’s waiting in the kitchen. I don’t want to spend so much time thinking about combos, because I’m having to carefully consider what elements I’m picking up and how I’m going to use them to satisfy the judges. Add a running timer to that, and you have combat that comes across as urgent instead of tedious. Another design choice that helps keep things fresh is the equipment you gain throughout the story mode. These equipment pieces can vary from basic buffs to things that fundamentally change how you play. My favorites among these are the books that give you extra challenges to complete, and the different types of pans. The books give you extra goals that you can meet on each of your dishes; I tended to use a book that rewarded me for using 5 of the same ingredient combined with one that gave me a bonus for making my dish as vegetarian as possible. By doing both at the same time, I can gain bonus points on my dishes to help me beat my opponents. 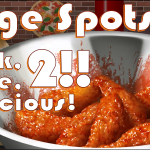 The pans and cookware, on the other hand, can fundamentally change the way you play the puzzle sections. There are pans that will let you match two gems instead of three of a specific element, for example. There are some additional interesting pieces of cookware, such as one that lets you match 4 gems instead of 3, but will skip level 2 and create a level 3 gem instead. While these pans are interesting, I tended to stick to the basic match-3 pan, while also using an oven that upgrades flavor gems and a cutting board that allowed me to destroy gems. I want to be clear here, the core gameplay of Battle Chef Brigade is solid. There are some hiccups here and there in individual parts, but, like a good recipe, this game is greater than the sum of its parts. The way that you have to think about what you’re doing in the combat sections and how it all relates to what’s going on in the kitchen is an absolute thrill to play. 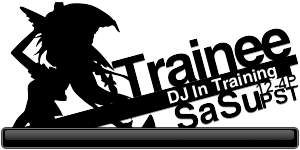 The equipment choices you can make, along with the demands of different judges and the ways that the monsters behave, keep you on your toes. You never get complacent and find a dominant strategy to win with, and that’s what’s so great about it. It’s not just a puzzle game or an action game, but a combination of the two that puts them together in just the right way. 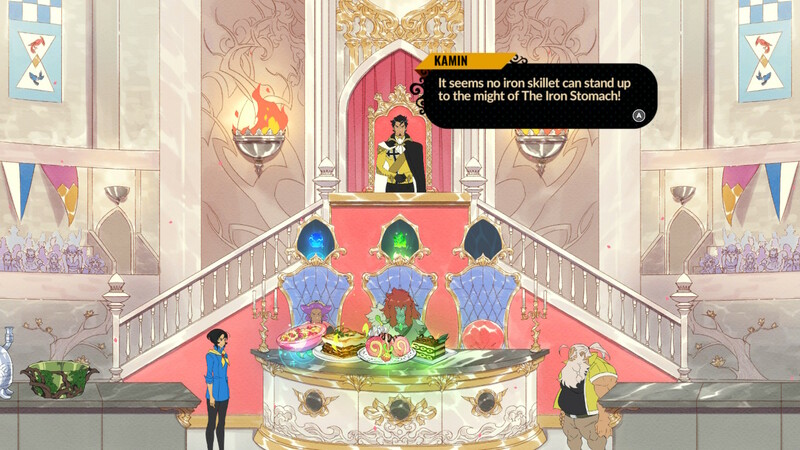 The main event of Battle Chef Brigade is its story mode. 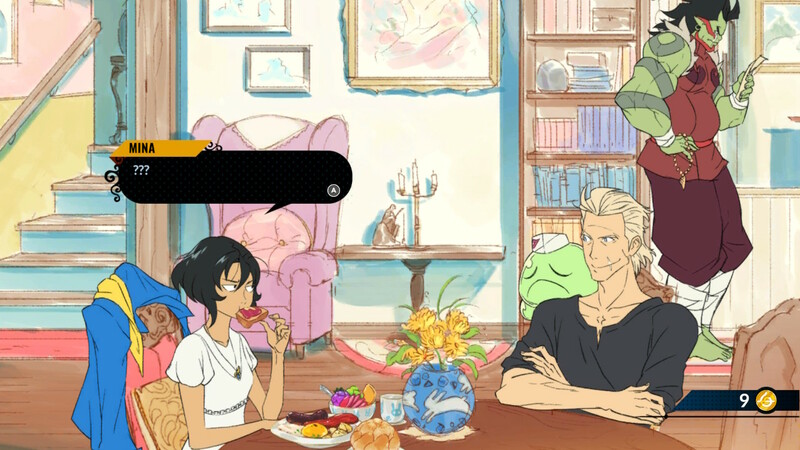 The story primarily follows Mina Han, an aspiring chef who runs away from home to try to join the Battle Chef Brigade. The story itself falls kind of flat; it’s a very basic tournament story, like one you’d find in your average Shonen anime. The story acts as a means to get you into the incredibly fun cooking duels and not much else. I don’t mind that much, but it does feel a little bit like a waste, especially since the characters and their interactions are so wonderful. The moment-to-moment writing is superb, and it really sells the urgency and emotion behind these characters and situations; it’s just that the overarching story feels a little bit undercooked. By the time I reached the final duel, I was left wondering if I hadn’t been paying enough attention, because it seemed to come from nowhere. Maybe the story needed to be a little bit longer to fit in all the arcs it wanted to complete. And that makes sense, because gameplay-wise, the main campaign feels a little short. I want to say that it’s under 10 hours, which is a perfect length for the $20 price tag, but it feels like I only just got to know the characters and get in the groove of playing before it ended. I did only beat the game on normal difficulty, so I’ll have to go back for hard mode. I don’t think it’s necessarily a short game, but I was left wanting so much more, and I certainly wouldn’t say that’s a bad thing. I loved all the side characters so much, and their abilities seemed like they’d be fun to play with, so I hope Trinket has some extra content in the future with more playable characters. You get to play as one additional character briefly during the campaign, and you can use him during the game’s daily challenges, so I really hope there are many more playable characters in the future. Oh right, the daily challenges. These are what will probably keep me coming back to this game for months. 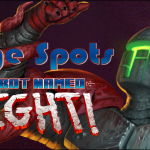 Each day has a new challenge, where you’re given a predefined loadout, set of judges, featured ingredient, and environment, and you have to set out to beat the high scores and climb the leaderboards. It’s a fun game mode to get a quick match in with. I’m sure once the game is properly out I’ll have no chance of hitting number one, but it won’t stop me from trying. These quick sessions make this game perfect for the Nintendo Switch. The game looks gorgeous on the Nintendo Switch, and I’m sure it looks even better on PC. The meals you make look good enough to eat (I even looked up some of the recipes they’re based on to cook later). The hand-drawn sprites are gorgeous, and the animations, while simple, match well with the frantic gameplay. The voice acting was surprisingly very solid, also; a lot of indie games lately have been opting for full voice acting, and some of it hasn’t been great. But the voice acting and direction in Battle Chef Brigade is absolutely top-notch. Voice direction was done by George Hufnagl, who I hadn’t heard of up to this point, but I will definitely be following in the future. Actors can only do so much without a good director at the helm, so I think it’s important to point out when it’s done exceptionally well like it was in Battle Chef Brigade. The frame rate can chug when a lot is going on, at least in docked mode. I played the entire game in docked mode though, and it didn’t bother me too much, as you can probably tell from how excited I still am. It might bother some people who are more discerning than me, and if it seems like it would hamper your experience, you should take a look at the PC version instead. Look, I know I’ve listed a lot of complaints here, but don’t let that deter you. 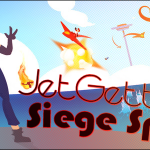 The core concept of this game is insanely fun. 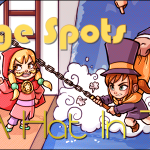 It’s absolutely worth your time if you’re into frantic puzzle action. It might not be my game of the year, but I think it will be one of my perennial favorites. 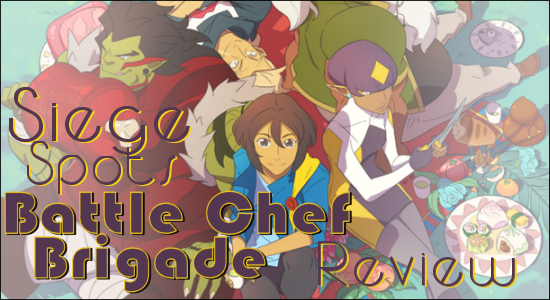 I’m going to come back to Battle Chef Brigade again and again and again. If Trinket keeps adding content, this could eventually be my favorite game of all time. But even as it stands now, it’s among my favorites, and I think you should give it a shot. Bon appétit! Battle Chef Brigade releases on Steam and Nintendo Switch on November 20th (or November 23rd in Japan!) for $19.99. Thanks again to Adult Swim Games for providing us with a Nintendo Switch copy for review!